“He held himself out as a pillar in his community — a family pediatrician, an elected member of the school board, a regular attendee at church,” the state attorney general said. Dr. Johnnie “Jack” Barto, 71, was hit with a sentence of 79 to 158 years in prison, virtually guaranteeing that he will die behind bars, Attorney General Josh Shapiro said. Barto’s sentencing came a day after several women — who said the doctor molested them when they were children — described in a lengthy interview with NBC News how the Johnstown community rallied behind him in 2000, the first time he was accused of abusing children. “Twenty years ago, this predator could have been stopped,” Jennifer Goetz, 42, said on the steps of the Cambria County Courthouse. Erika Brosig, who said she was 12 when Barto molested her in 1994, said the doctor had enablers who also need to be called to account. Brosig was among the women who gave victim impact statements during the sentencing in Ebensburg, Pennsylvania, before Cambria County Common Pleas Judge Patrick Kiniry. Shapiro read one the victim impact statements afterward. Barto's wife of nearly 48 years, Linda, sat with the victims when the court proceedings got underway. She also submitted a victim impact statement and asked the court for justice for the people hurt by her husband. "There is not a day when I don't feel heaviness in my heart for his victims," Linda Barto said. As his wife and the other women addressed the court, Barto sat sphinxlike in a gray suit beside his lawyer, David Weaver. Barto was hit with the staggering sentence two months after he first pleaded guilty to molesting the two relatives, and no-contest to three other allegations brought by children he was accused of sexually abusing at his practice. 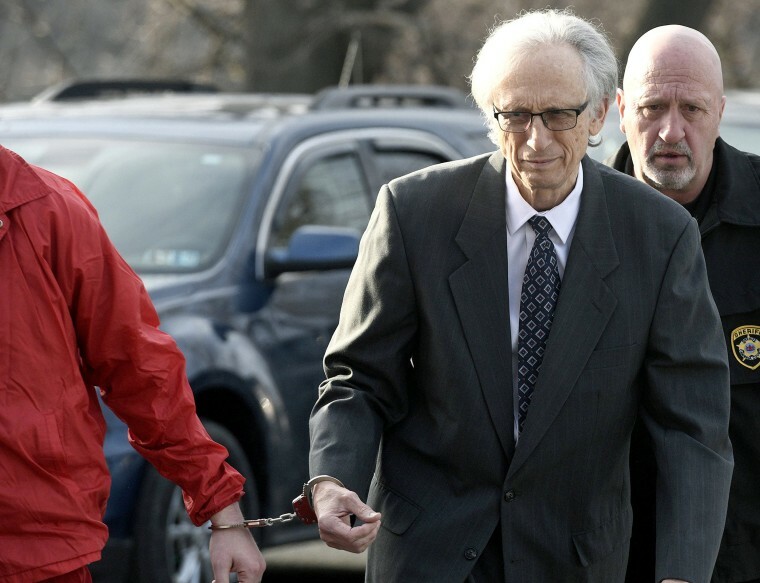 Under questioning, Barto also admitted to sexually assaulting dozens more children during the four decades he practiced medicine in and around Johnstown, Shapiro said. Barto targeted girls and boys, most between the ages of 8 and 12, the chief prosecutor said. The youngest victims were a toddler and a 2-week-old. Most of the assaults happened after Barto got his medical license back in 2000. It had been suspended after he was accused the first time of sexually abusing three children in 1998. His license was restored in 2000 by the Pennsylvania Board of Medicine. “When he was first accused in 1998, Barto thought he was immune from prosecution and played a long game to make sure the families thought well of him and allowed their children near him,” Shapiro said. Despite the rumors that Barto was still molesting children, he managed to elude law enforcement until Dec. 21, 2017, when a 12-year-old girl told her mother that at the end of an examination, the doctor had her sit on his lap while he molested her, according to a probable-cause affidavit. Barto was arrested by the Richland Township police Jan. 18, 2018. That same day, The Tribune–Democrat newspaper reported, a “Support for Johnnie ‘Jack’ Barto” page went up on Facebook, complete with testimonials from local parents whose children were his patients. The page quickly came down after Barto finally admitted his guilt. Shapiro noted that in addition to the 31 incidents of assault charged, at least a half-dozen other cases could not be charged because of the criminal statute of limitations laws in Pennsylvania. “I will continue to work my tail off to change the laws in this commonwealth so every victim has a chance to hold their abuser accountable,” he said.